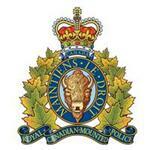 RCMP Alberta - On August 22, 2017 at approximately 12:33 pm, Blackfalds RCMP responded to a call to assist Emergency Services at a residence where a 47 year old male had been shot. Three male subjects in a dark blue Chevrolet Pickup truck had pulled in behind the residence, entering the garage, shoving a 35 year old female to the ground. The subjects were wearing black bandanas covering a portion of their face. The three males than entered the residence through the back confronting the 47 year old male. An altercation occurred, during which the 47 year old resident was shot. Witnesses report seeing a dark blue Chevrolet Pickup truck fleeing from the scene, as well as a gold coloured Chrysler Intrepid which was stolen from the residence. The victim was rushed to the hospital where he is currently in stable condition. It is believed along with the three males there was a female assisting them. RCMP in Blackfalds are looking for the public's assistance in identifying the subjects responsible for this. If you have information about this incident, please call the Blackfalds RCMP at 403-885-3300 or call your local police. 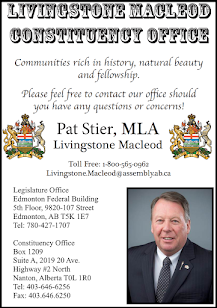 If you want to remain anonymous, you can contact Crime Stoppers by phone at 1-800-222-8477 (TIPS), by internet at www.tipsubmit.com, or by SMS (check your local Crime Stoppers www.crimestoppers.ab.ca for instructions).